We fly rare Yak-50 single-seat and Super Yak-52 two-seat aircraft. The team owns eight of them, making us the largest privately-owned piston-engine display team in the world. 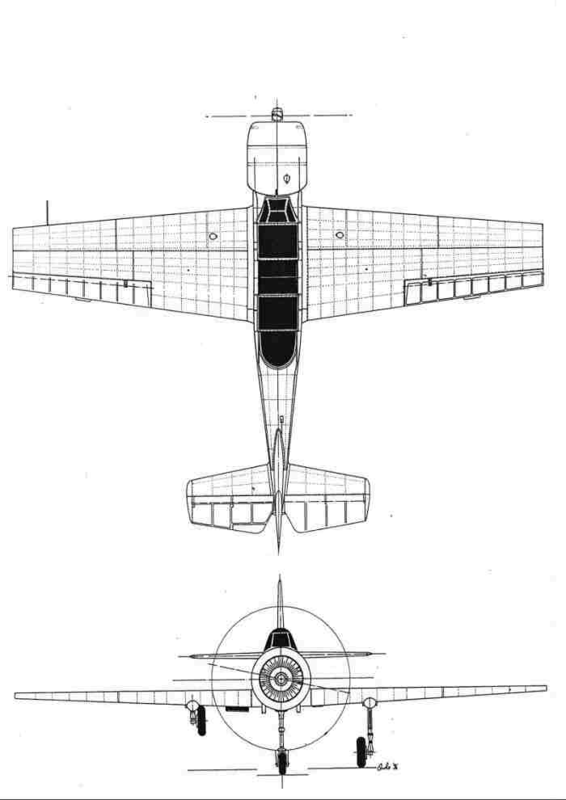 The Yakovlev Design Bureau produced the Yak-50 (first flown in 1973) for one thing only – to win aerobatic competitions, especially on the international stage. 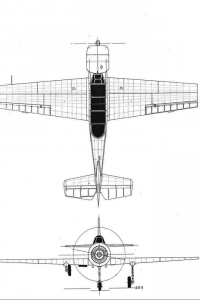 Powered by an Ivchenko Vedeneyev M-14P radial of 360 hp (ours have been modified up to 450 hp), this metal monoplane can pull 9G and has a climb rate of 5,000 ft min. The workhorse of the Aerobatic Team of the Soviet Union from 1975, the Yak-50 took first place in both the Men’s competition (Viktor Lestko) and Women’s competition (Lidia Leonova) at the 1976 World Aerobatic Championships in Kiev, Ukraine. Yak-50s serving with the Soviet National Aerobatic team were typically scrapped after about 50 flight hours, due to the intense stresses imposed on the airframe during unlimited aerobatics. This makes them extremely rare and it is estimated that less than 100 survive to this day. 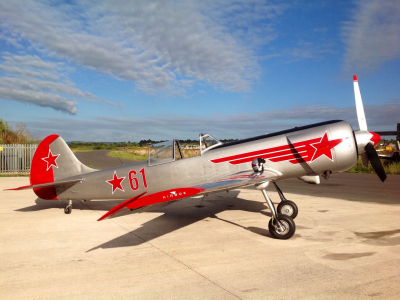 The Yak-52 first flew in 1976 and is still being produced in Bacau, Romania, by Aerostar. 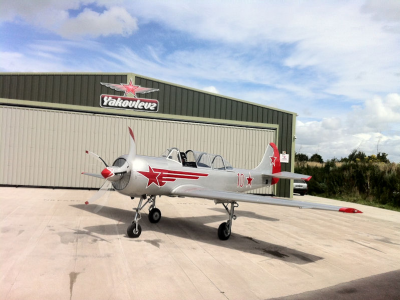 Designed originally as a primary trainer for students who would later transition to Soviet jet aircraft, the fully aerobatic Yak-52 is a descendant of the Yak-50. Powered by the same Ivchenko M-14PF radial engine, our Yak-52s have been specially lightened in order to keep pace with the lighter and more agile Yak-50s, giving them the official designation of Super Yak-52s – the most powerful variants of their kind in the world. 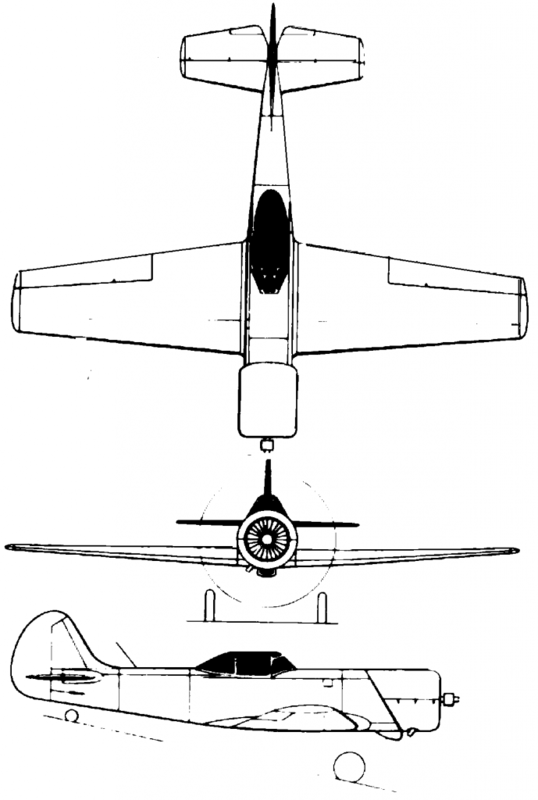 A relatively easy aircraft to fly, with impressive roll rate, especially to the right, the Yak-52 takes some taxiing adjustment for pilots accustomed to hydraulics, because the plane uses air pressure to operate the brakes (as well as the flaps and landing gear), and also because the non-steerable nosewheel calls for differential braking. 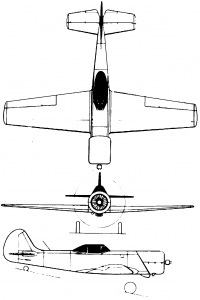 While the landing gear is fully retractable, it remains partially exposed in the retracted position, affording a measure of protection should the plane be forced to land wheels-up. Still in production today, there are estimated to be in the region of 1,200 in active service.